Mykonos, one of the best known of the Cyclades Islands, offers a beautiful nature and beaches of fine sand as far as the eye can see. The island has some of the most beautiful beaches in Europe. You will find a variety of them, leaving you the choice according to your desires. These various beaches offer the opportunity to practice several family activities such as sailing, diving, water skiing, or simply a good swim in the calm sea. Among them, we recommend the beach of Lia if you like the calm, or Parou, if you like luxury yachts! For all of them, we guarantee you golden sand and crystal clear waters. Also, the famous Paradise beach, renowned for its beauty but also for its incomparable party atmosphere. The climate of Mykonos is very pleasant and allows you to carry out outdoor activities or visit at any time of the year. Precipitation is very rare and the sun is almost guaranteed all year round. During the summer, the temperature can sometimes exceed 30 ° C, but following the north wind, Meltem, a pleasant breeze refreshes the temperature between 25 and 28 ° C, enough to enjoy! Even though the island owes its success to its festive reputation, welcoming famous DJs and a lively nightlife, it does not stop there. 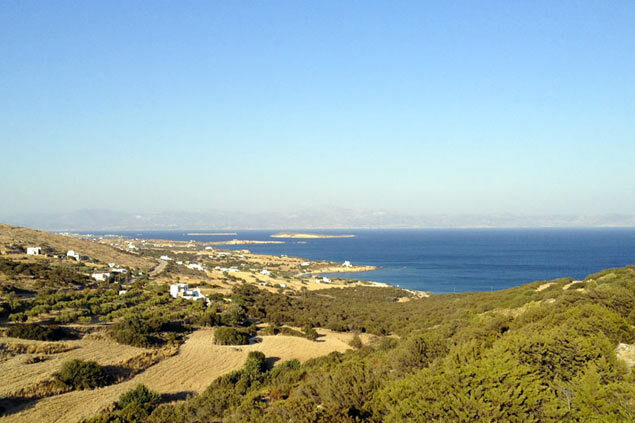 Mykonos is full of many places and cultural experiences to discover. Among them, the Church of Panaghia Paraportiani, home to the greatest architectural wonders of Mykonos, the Museum of Popular Art whose aim is to convey the culture of the island and the different ethnic groups that it shelters, the Little Venice grouping together the historical buildings of the pirates period in Mykonos, or the village of Ano Mera on the east of the island where there are spiritual and cultural beauties. Who says Greek culture, also says cooking. Characteristic Mediterranean, it is rich in tasty seafood but also typical dishes such as tarama, mezze, moussaka, grills, not to mention the souvlakia. 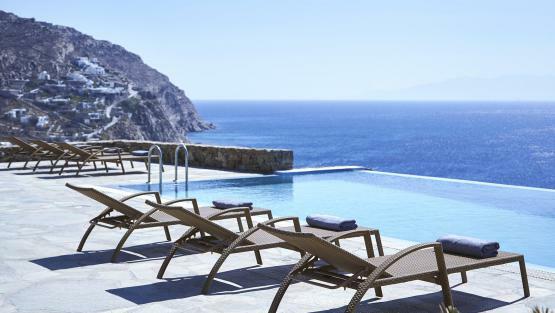 Our villa hunters have found for you an exceptional selection of villa rentals in Mykonos, well appointed, mixing the traditional charm of this island with modern comfort. With elegant interiors and architect’s villas, among our beautiful holiday homes you will find private pools, direct access to the beach, the possibility of many tailor-made services thanks to the house staff (home chef, massages ...), spas, jaccuzis, and of course breathtaking views of the island landscape. Villa perfect for a group of 6. Nice decoration, Amazing swimming pool with nice view on the sea. 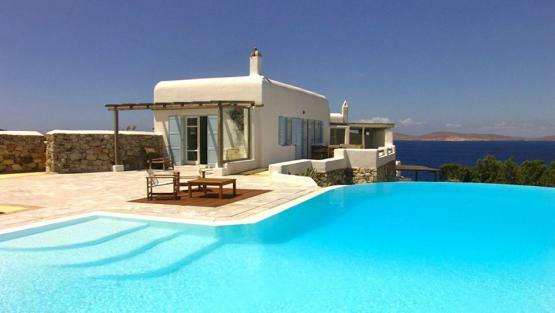 Our villa advisers are all experts at selecting the villa that will satisfy you in Mykonos. 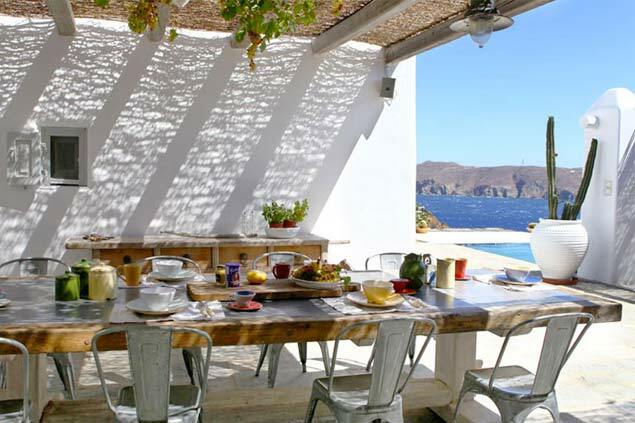 They will guide you to choose the right villa rental in Mykonos and they will work with you to plan your vacation according to your needs and requests. Our local hosts based in Mykonos (Federico and his team) will help you book the best or trendiest restaurants, share their secret places to eat, to shop or to go out or visit. The villas staff will also be able to assist you anytime and take care of all requests you may have during your stay.